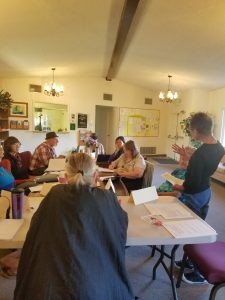 Writing classes for seniors 55+ at Manzanita Arts Emporium in Angels Camp! In the sixth month of the series, you will write about memories evoked from exercises and models, lessons that stimulate the inner recesses that yearn to be recorded. 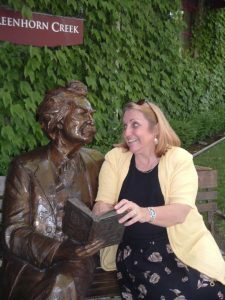 January’s Writing Coach, Monika Rose, will guide you through the experience. Participants will all have an opportunity to publish their writing in the Voices of Wisdom anthology set for April launch. All levels, beginners to advanced, are invited. Even if you have never written before, or if you feel nervous about just starting out on your historic exploration of self and the area you live in, you are welcome. There are many in that same situation. But it’s a rewarding experience to record the stories of your life in the Mother Lode, and your origins, from wherever you stemmed from. Come join the lively and kind group! Call to reserve your spot and let us know you are coming. Bring a notebook or laptop or tablet, whatever you wish! The Voices of Wisdom project is available thanks to the generosity of the Calaveras Community Foundation. Manzanita Writers Press: A literary support center for writers and artists. Manzanita Writers Press is a literary publisher and nonprofit arts organization located at Manzanita Arts Emporium, a creative community center in historic downtown Angels Camp. 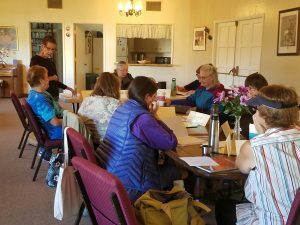 We bring writers, readers and artists together through workshops, anthologies, book publishing, classes, lectures, and events in the Mother Lode region of California. 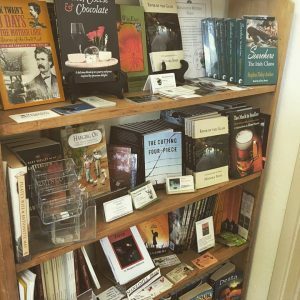 Our location in the scenic, rural Sierra Nevada foothills of Calaveras County is inspirational to the many writers and artists who reside here and in the surrounding rural counties. Manzanita Writers Press has published 15 books, with several more in the works for 2017-18. 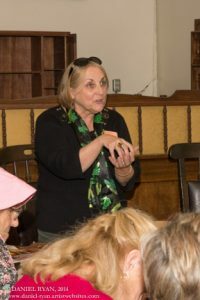 We host author readings, workshops, events, publish books, and promote the literary and visual arts in Calaveras, Amador, and Tuolumne Counties. 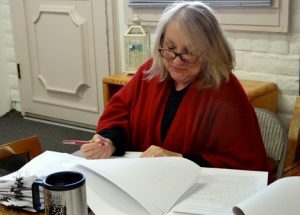 Manzanita publishes works by regional writers and those with a connection to the Mother Lode and Sierra, but we are not limited in that scope. MWP also prints Manzanita: Poetry and Prose of the Mother Lode and Sierra, a series of literary community anthologies that represent writers across the nation writing about this region. Our latest anthology, Out of the Fire, reflects poignant and inspirational writing and photography based on the 2015 Butte Fire, the 7th most destructive fire in California history. Anthologies: Out of the Fire, Pieces, Wine, Cheese & Chocolate, Manzanita series volumes 1-6, The Journal. Authors represented in the bookstore: Scott Thomas Anderson, Lucy Sanna, Antoinette May, Amy Smith, June Gillam, Denella Kimura, Julia Costello & Judith Marvin, Monika Rose, Dan Harder, Joy Willow, Sy Baldwin, Stephen Archer, Glenn Wasson, Ted Laskin, Dave Self, James Fletcher, Cynthia Restivo, Shelley Muniz, and many more.